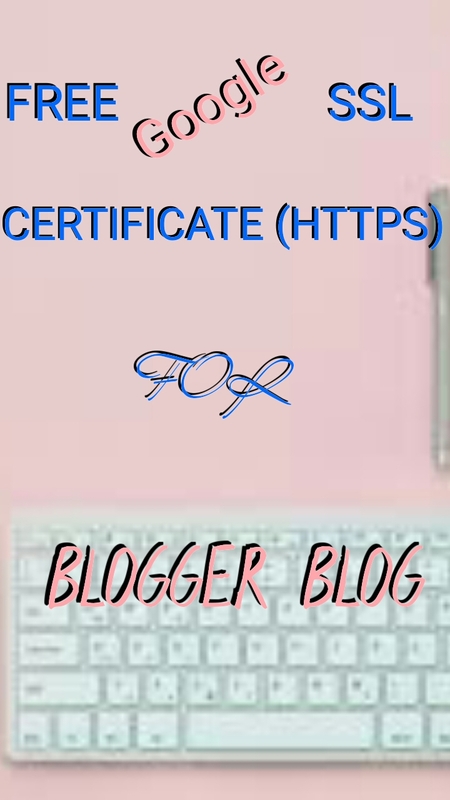 You can turn on HTTPS on your Blogger custom domain for free. Google made this possible late last year. Normally, google only had the HTTPS activated for only the free domain <your-site>.blogspot.com. Bonus: Get 10% bonus revenue for the first three months, all you have to do is signup with the links below. approval for some time? 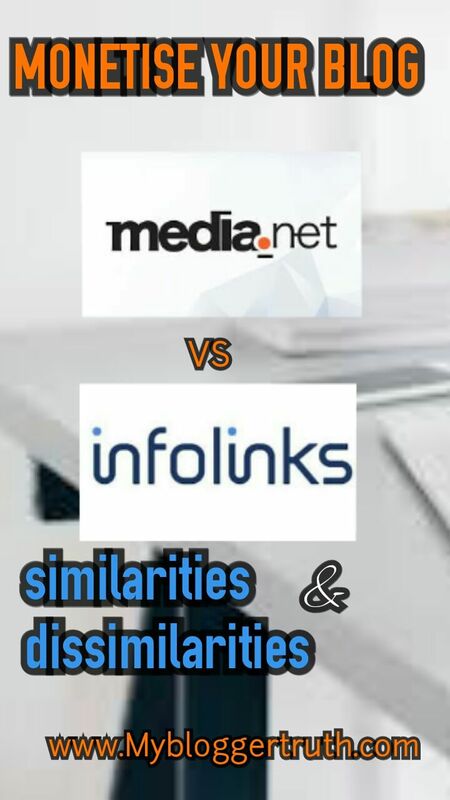 Don’t you worry, infolinks and media.net to the rescue. When it comes to choosing which advertising platforms work well with Google AdSense, these two come to mind. 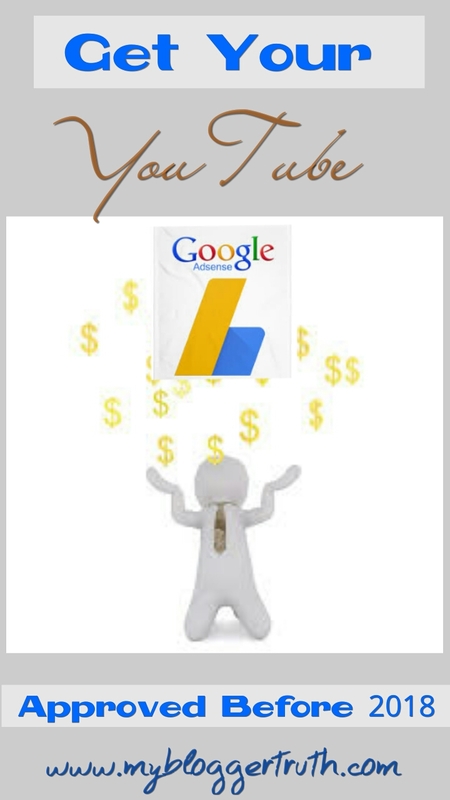 There are a lot easier to get unlike Google AdSense. I’ve tried these two and I must say both pay arguably well, but doesn’t compare to google adsense cpc (cost per click) rate which is higher than any other advertising platforms out there. Media.net was founded by Divyank Turakhia, an Indian businessman in 2012. It is a popular advertising company that allows both the publishers and advertisers to benefit from their developed innovative products. Infolinks on the other hand, though founded in 2007 is one of the industry leaders when it comes to in-text and intent-based advertising. 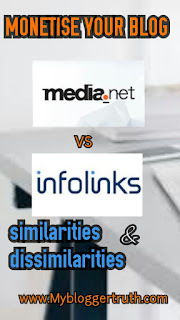 When we compare media.net and Infolinks, some similarities come to play. Both supports and provide display advertising. 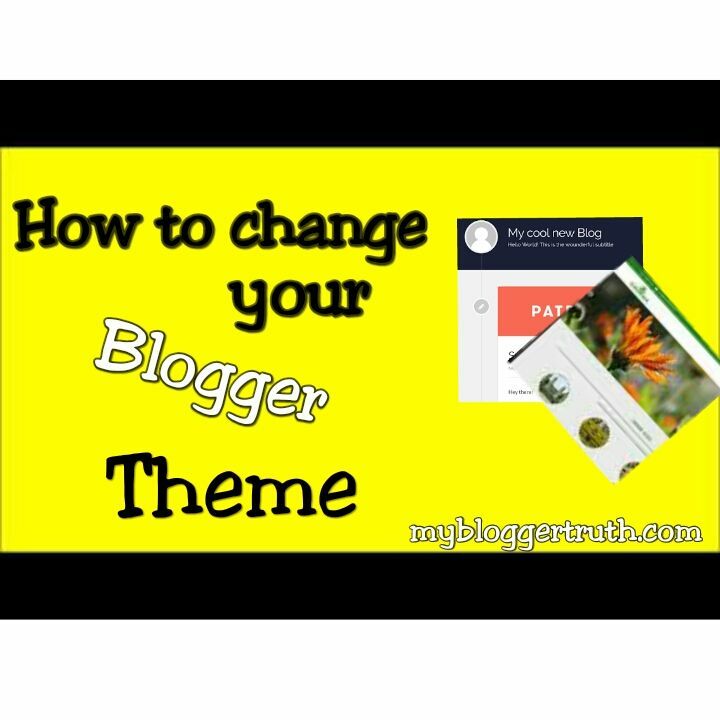 Both works well with AdSense. 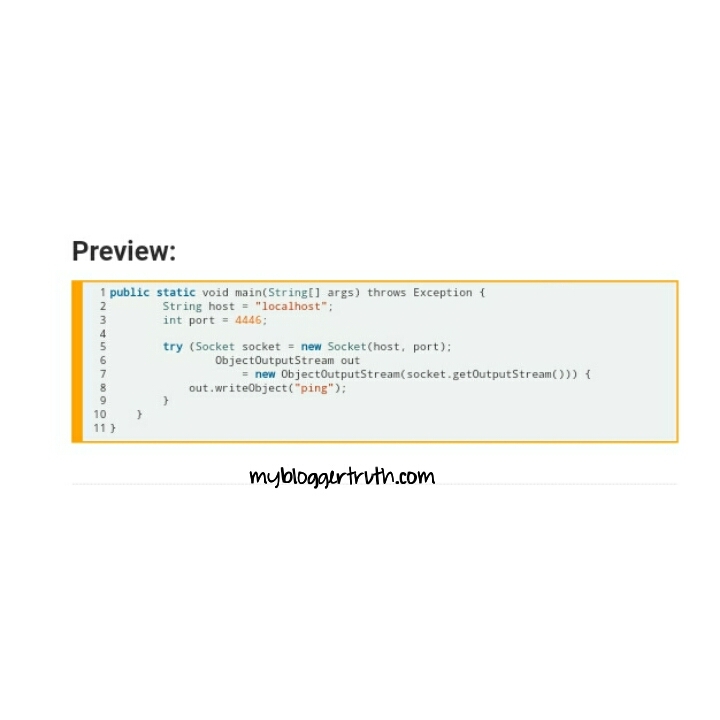 Both have quick and easy to implement Ad units. Both have mobile Ad units available. Media.net has a more detailed dashboard showing graphical representation, number of impression,estimated revenue per day and so on which is updated every 24 hours, while Infolinks is a little less detailed showing just the page views, ad views and money earned which is updated every few minutes. Media.net is owned by yahoo/bing and Infolinks is also privately owned company with it's headquarters in California. The review time for media.net is usually after two business days. While, there is no review time for Infolinks. Media.net: you need a 10% minimum US traffic for approval. For revenue generation, there tend to only recognise traffic from US,UK, and Canada. 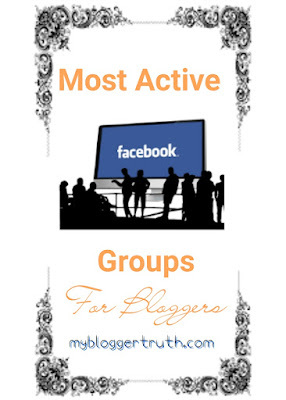 If you get a higher percentage of your traffic from these regions you will earn big. Infolinks: there are no traffic requirements. Media.net: it requires you to have a website primarily in English. Infolinks: There are no language requirements found in their publisher service agreement. Media.net: Good ad implement that blends with website. 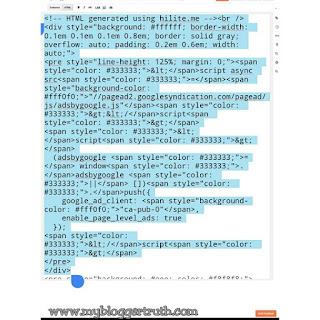 Infolinks: Not that great, ads implementation may tend to look spammy. Display Ad units sizes and colour change. Media.net: Wire transfer or PayPal. Infolinks: PayPal, wire, eCheck, Western Union, ACH, Payoneer. Monetize your website with any of these Adversing platforms, they are the best and most reliable AdSense alternatives out there. 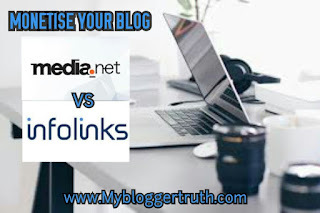 Infolinks: 3rd Best Advertising company, sign up here. In my experience, you can definitely make a lot of money from any one of these Advertising platforms. 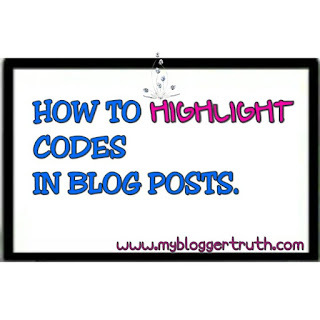 Make money blogging, harness these great opportunities. Apply for both or any one of them. 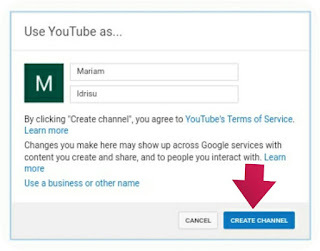 How to get Google AdSense through YouTube. 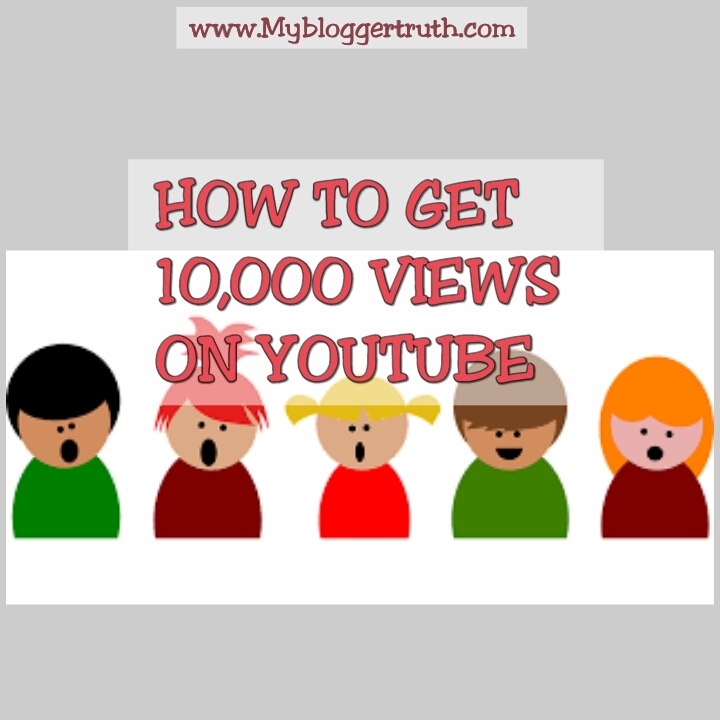 How to get 10,000 views on YouTube. 10 things you need to know about blogging. If you love making videos, you will also love more people coming to view and like it. Like everything else, it takes time,effort,dedication and consistency to get a large number of viewers. Many may say that making money on YouTube is hard and it isn't worth your time, but the honest truth is that nothing comes easy and hard work and patience is definitely the order of the day. If you love making interesting videos, then you need to keep doing what you love and make the most out of it. 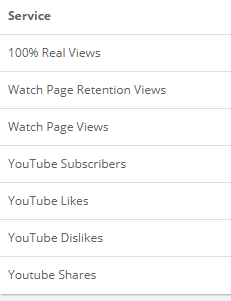 I had an educational YouTube channel that i needed to monetize but the adsense team said i had to have 10,000 views according to their new policies for it to be reviewed. Considering a new YouTube channel, it is almost impossible to get that amount of views without waiting at least a year. Here is a quick trick to fasten things up. Include a channel description with relevant keywords. 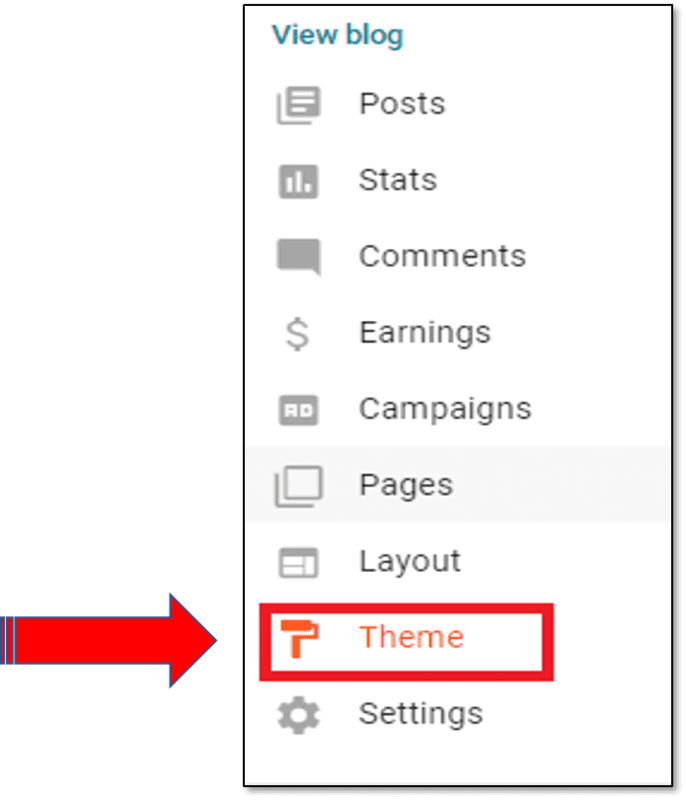 Add many tags before you upload videos. 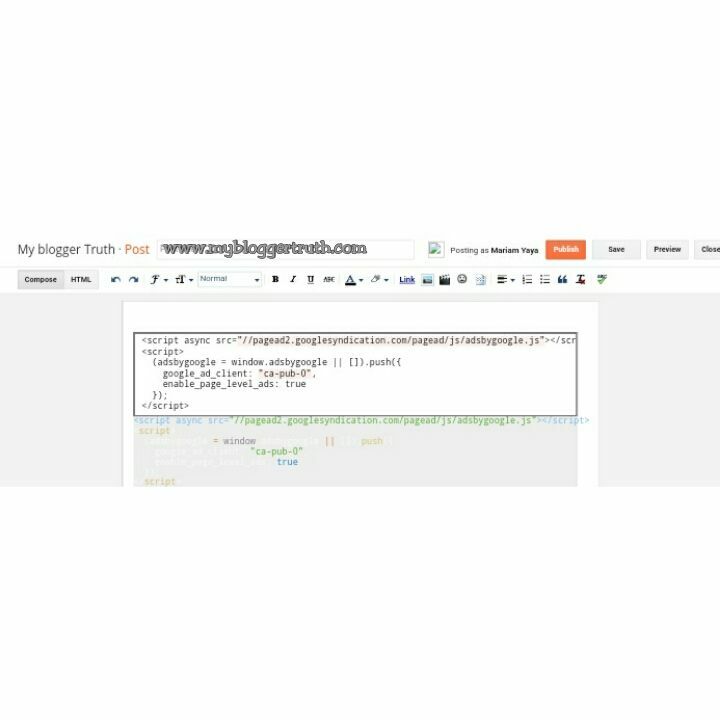 2) Embed to Blog posts. This is a great way to increase your views. This would only be relevant if you make videos on the topics you write about. Some users would prefer watching the videos instead of reading your written articles. Just get the video you would like to share and click on embed to get the source code for that video. 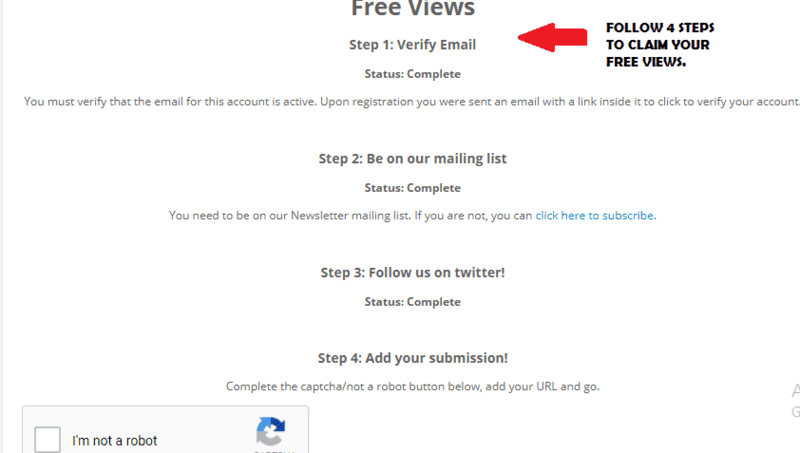 If you are not in the mood to wait for your views to increase naturally, you can try obtaining free or paid views. QQTube is a platform that can help with that. You can get 1000 quality views for free and pay for other services they provide. How to get free YouTube views. Follow the (4) steps for each accounts. 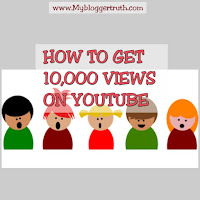 Follow all the steps above to get more than 10,000 views for your new YouTube channel. Then after that, it will be ready for monetisation. 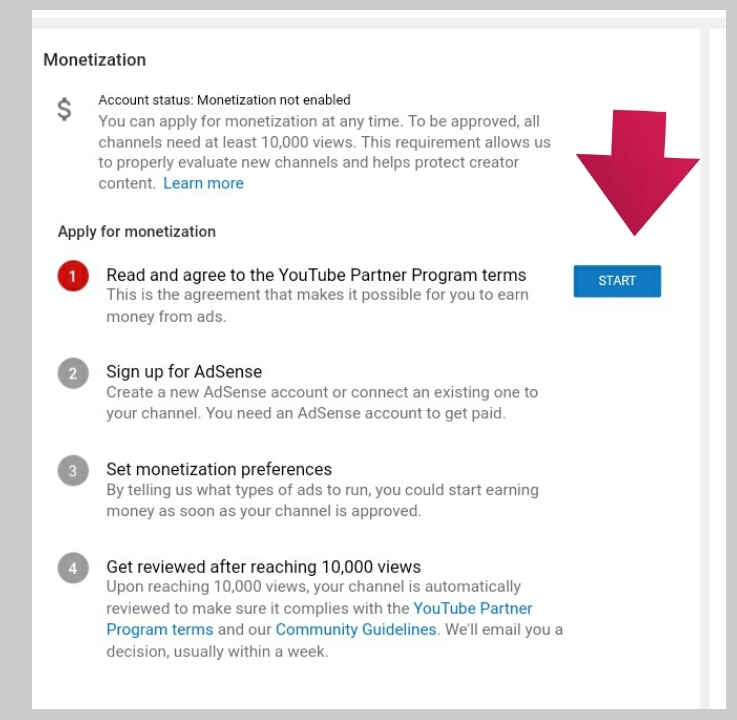 How to get YouTube AdSense with this trick. 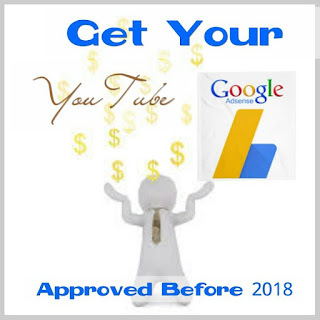 Do you want your Google AdSense approved once and for all? Do you plan to start making posts, videos, apps to generate more income? Then follow this step by step trick. Gone are the days when getting Google AdSense was peace of cake. 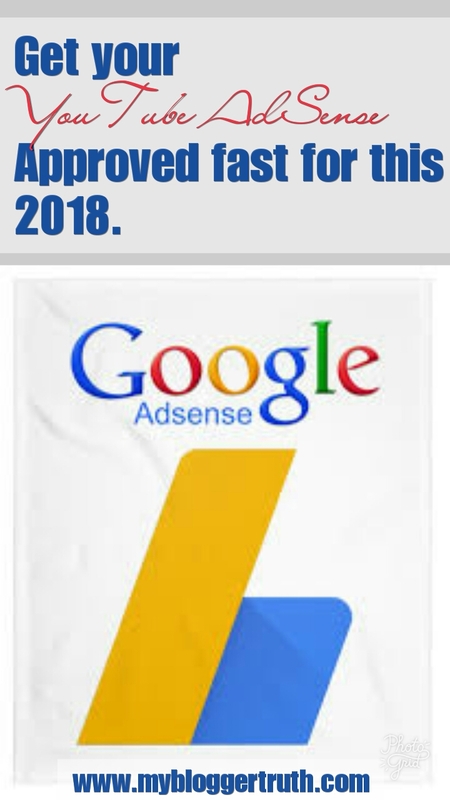 Google AdSense now has grown bigger with millions of advertisers and since become more strict and picky when it comes to approving more advertisers. Getting an AdSense account approved are some people's number one issue today. AdSense is the highest CPC network. It's still not the best way to make money online. Though, some may say it is the easiest. 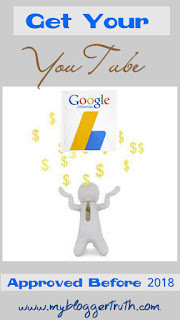 You can definitely make a lot of money from AdSense. This trick using YouTube will get you a hosted Google AdSense account, which can be displayed on Google's products only but not on custom domains. After which you can then upgrade to a hosted AdSense account and start placing ads on your custom domain. 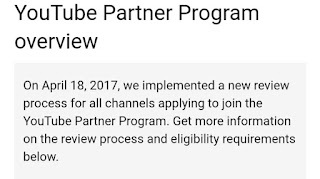 As at April 18th 2017, Google introduced a new review process which requires all youtube advertiser to get a minimum of 10,000 lifetime views before the AdSense team can review your account for monetisation. More details from Google. Okay time to cut right to the chase. 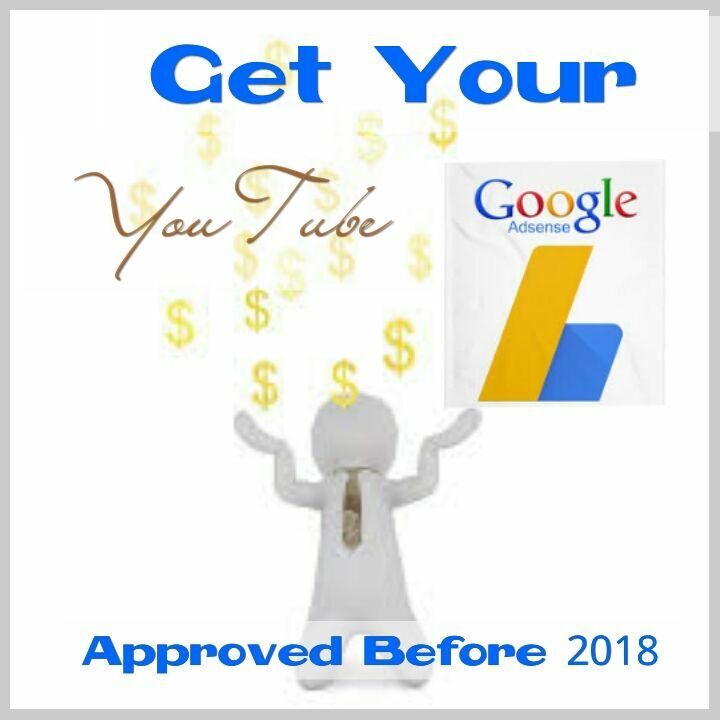 How to get your Google AdSense approved using this YouTube trick 2018. 1) Login to a new gmail account (or sign up for one). 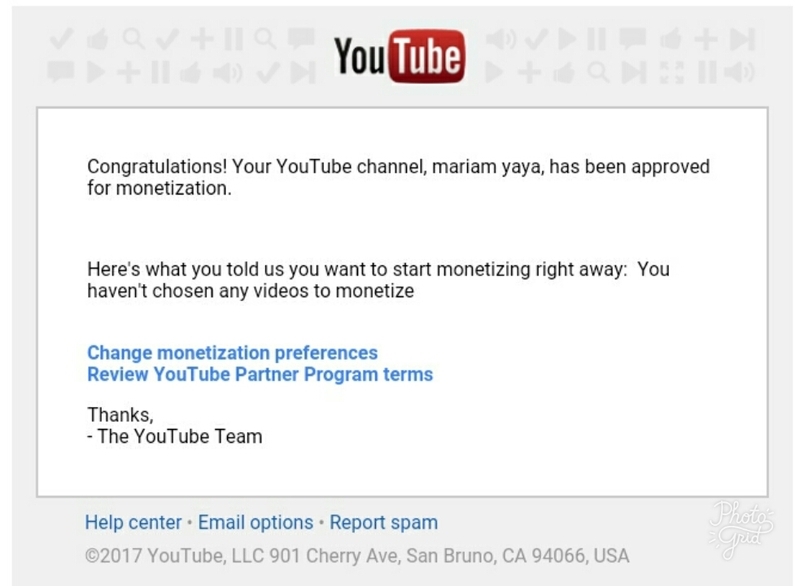 2) Go to YouTube > My channel > Create channel. 3) Include a channel description and add a channel art/profile picture. 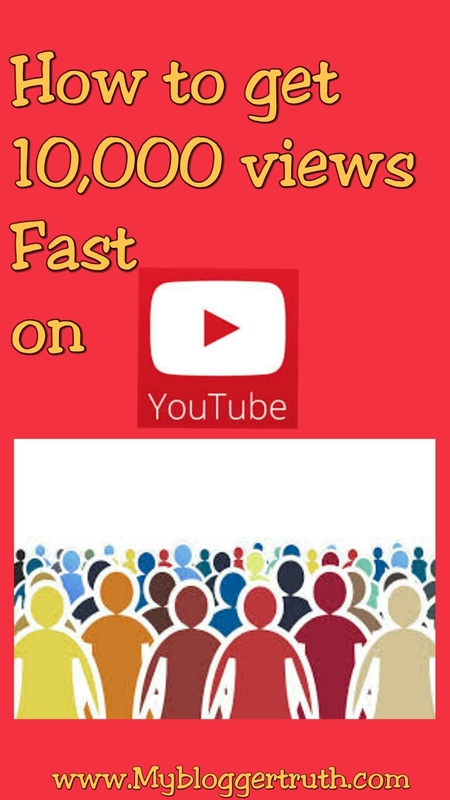 4)Upload some unique videos and get a total of 10000 unique views so your account can be reviewed. 5) Head over to Video manager > Channel > Status and features. 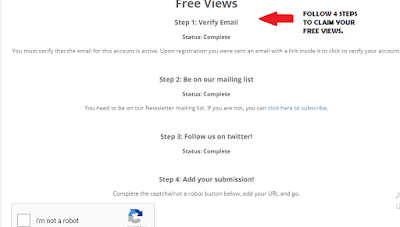 6) Click on verify button to confirm you are not a robot. 7) Then Enable monetisation tab and sign up for AdSense through your YouTube channel. 8) Submit and wait for an approval. 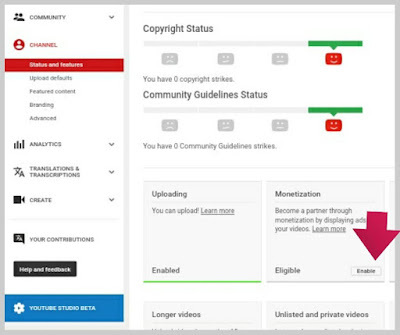 If you are lucky to get approved you will start seeing ads on your YouTube channel and can associate other YouTube channels to Adsenselso, you might also want those ads to show on your custom domain. 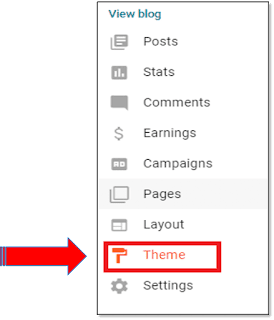 If you’re using custom domain, I must tell you that Google has changed its policy for approving accounts via host partnered sites (custom domain), which means you are required to fill out a form and get approval from Adsense team manually before the ads begin to show on your website. Submit your website for a fresh review process. If you don't get approved? If you didn't get accepted into the AdSense partner program. 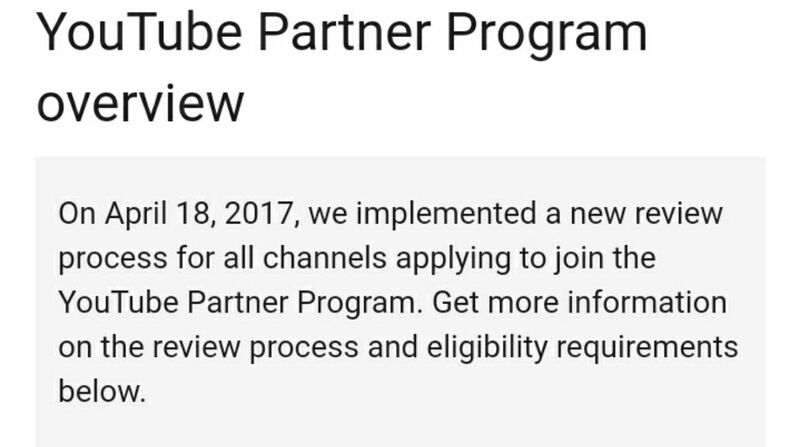 Don't give up just yet keep working on uploading unique videos that adheres to YouTube partner program policies and community guidelines. Then reapply in 30 days. 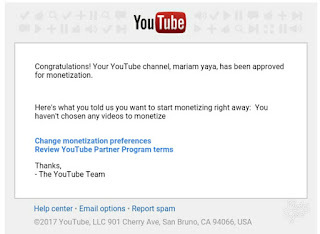 This is the end of the tutorial on how to get your hosted and non-hosted AdSense account approved. If any part or section of this post is still not clear to you, comment below. 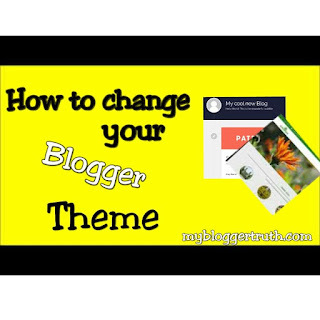 Subscribe here and never miss any quality tip, trick, or hacks on My Blogger Truth. 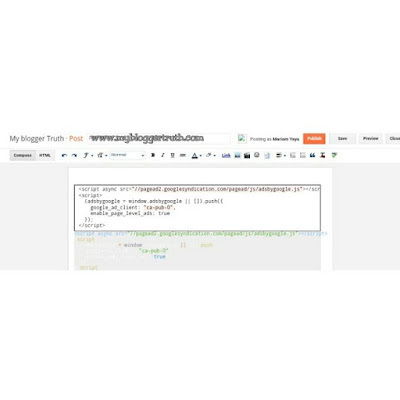 Get all posts and pages indexed by Google. Boost up traffic with this 7 social media sites.